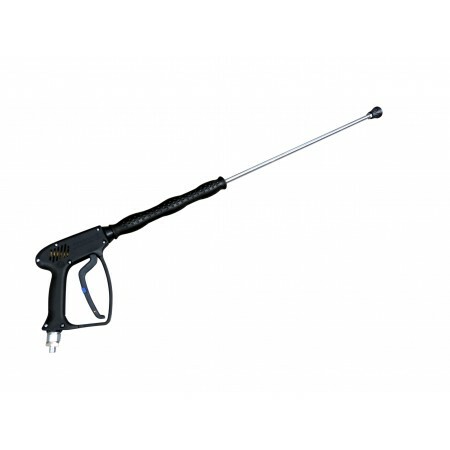 Professional quality TecPro wash gun complete with 900mm lance and 050 nozzle. 900mm lance : 250 bar, zinc plated, 150 deg. C max. temp., black solid handle. Suitable when using corrosive chemical.